With ten drawers with felt lined top drawers for an amazing amount of storage, this chest of drawers is the storage piece of your dreams. Store your pants, shirts, sweaters, and socks and still have room for more with this spacious chest of drawers. 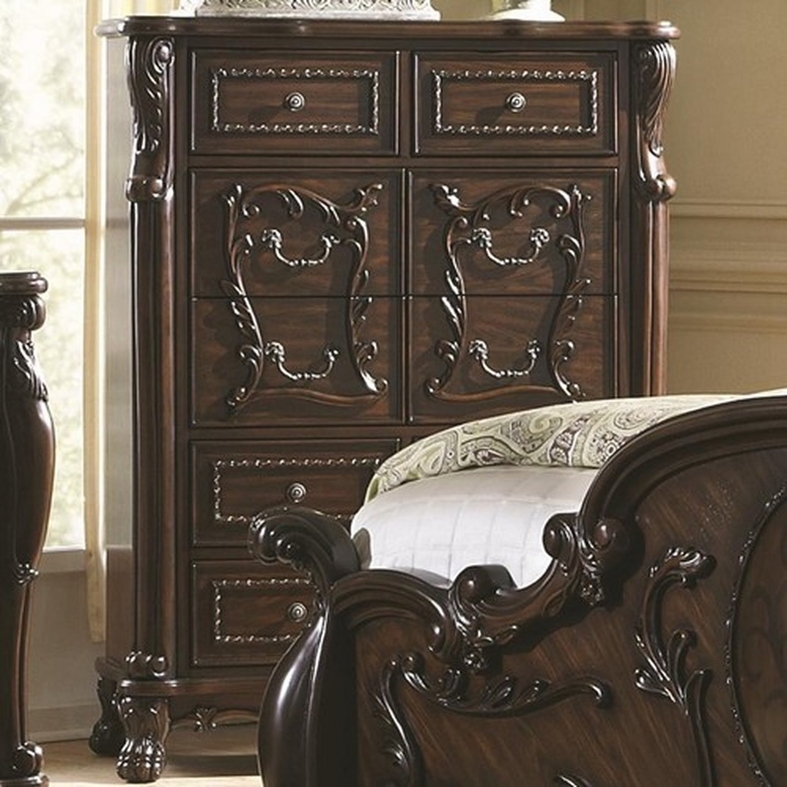 Victorian touches like beautiful scroll work and lion claw feet give it stylish grace. Turn your bedroom into the perfect Victorian getaway with this chest of drawers.